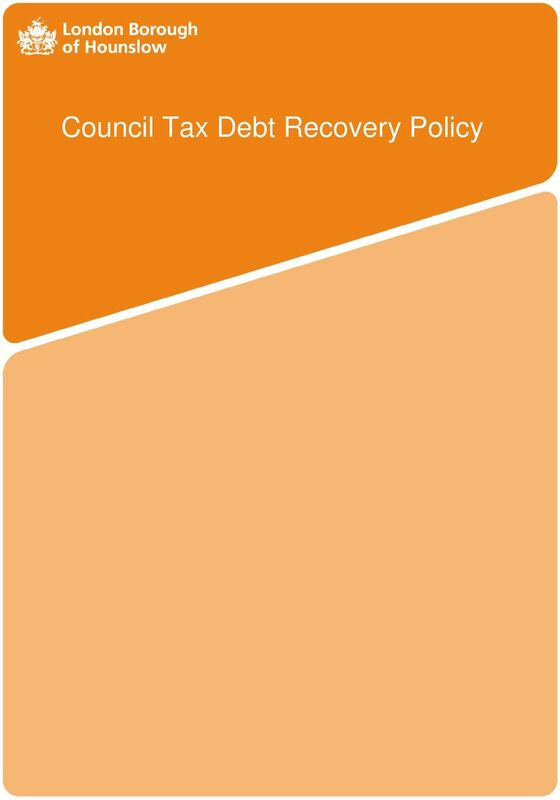 Download "Council Tax Debt Recovery Policy"
Household water charges, payment options and debt recovery code of practice This leaflet forms part of our Customer Code of Practice, which provides a guide to the services we provide for household customers. 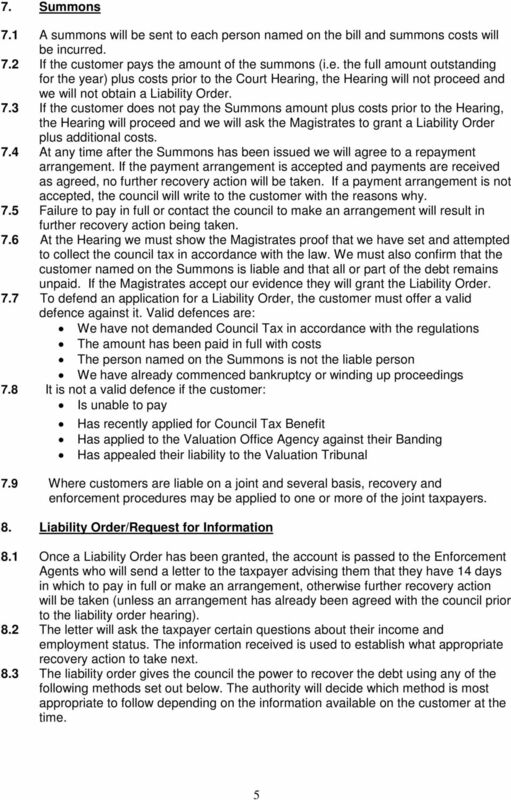 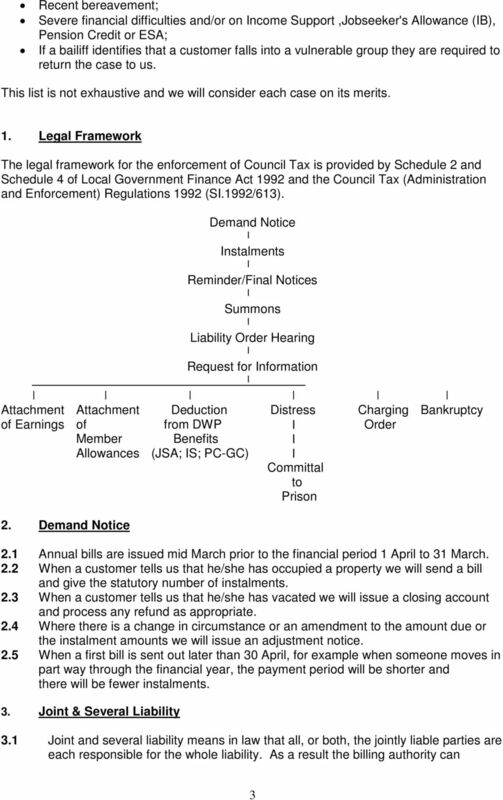 WILTSHIRE COUNCIL CODE OF PRACTICE FOR THE RECOVERY OF LOCAL TAXATION DEBT WILTSHIRE COUNCIL CODE OF PRACTICE FOR THE RECOVERY OF LOCAL TAXATION DEBT CONTENTS 1. 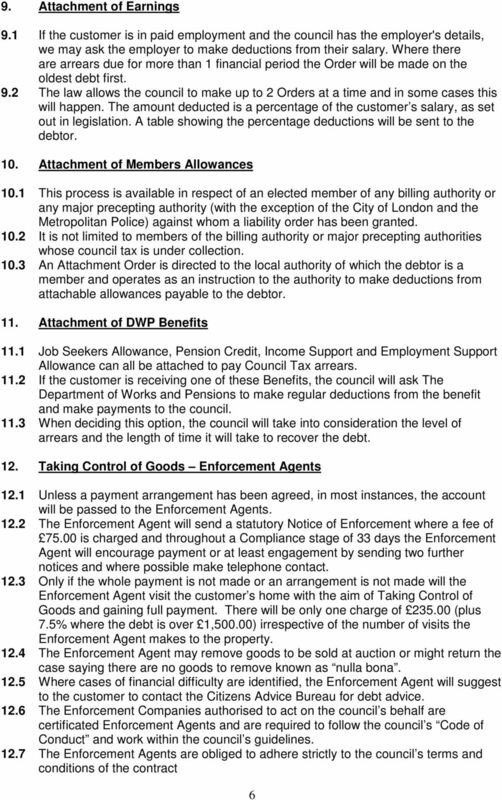 BACKGROUND... 3 2. 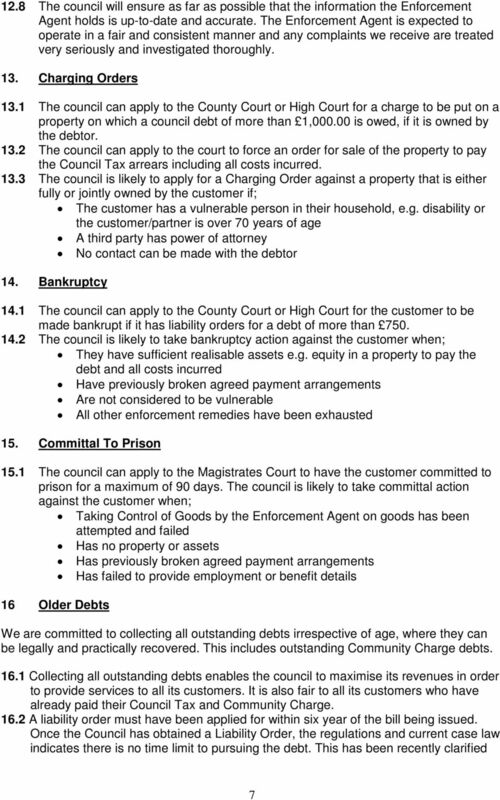 DEFINITIONS... 3 3. 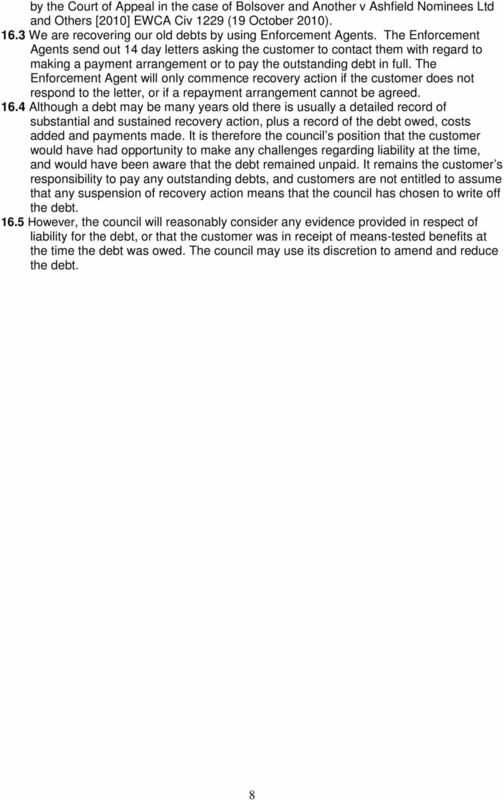 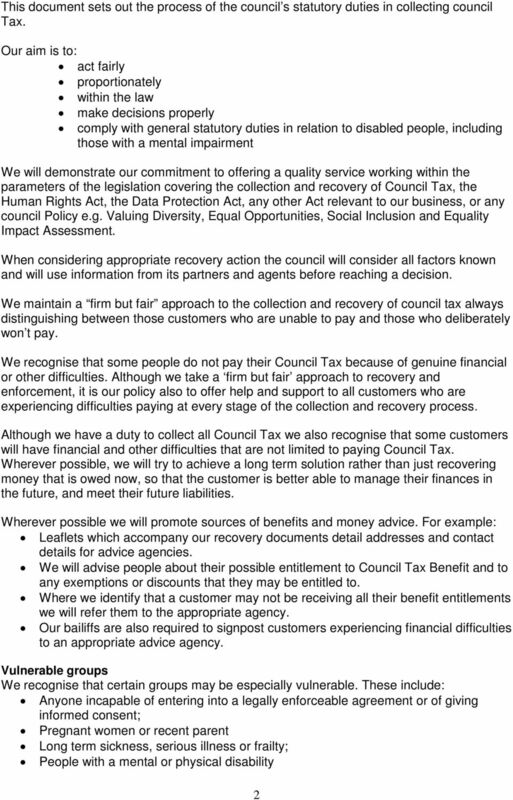 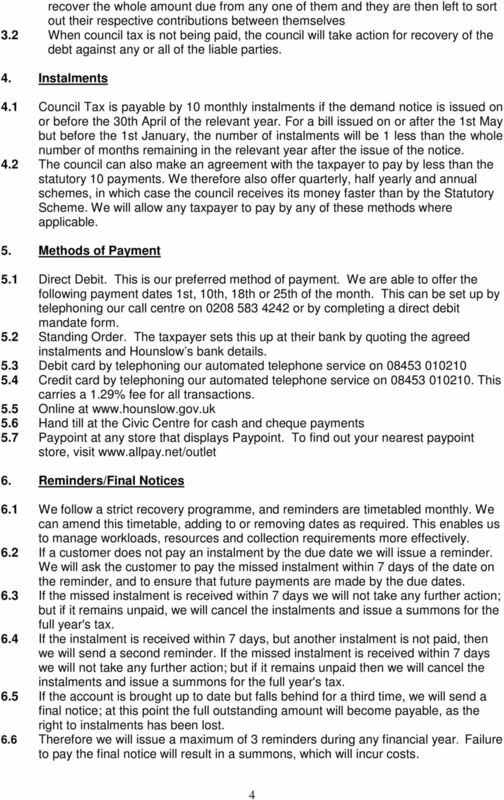 APPENDIX 1 LB Lambeth Income and Debt Recovery Strategy 2015/17 For Lambeth council, responsible financial management is critical to enabling the delivery of over 100 core services efficiently and sustainably.